while tina makes a good point, i think it is quite clearly a wolf shirt. i always assumed "wolf shirt" was a synecdoche for all people/shirts of a dorkier, crustier persuasion. am i mistaken? 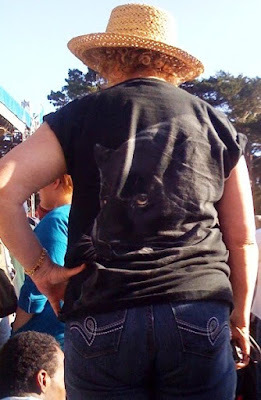 i mean, would we deny the Indian head in front of a full moon shirt the "wolfy" designation?